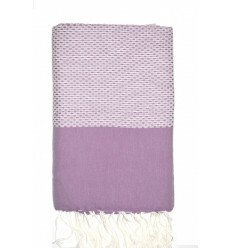 Honeycomb Fouta There are 33 products. 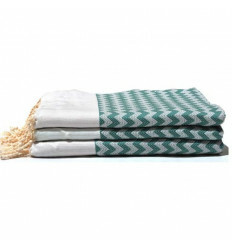 The fouta towels is woven in the traditional way to use bath towel, hand towel, sarong, tablecloth, bedspread ... All segments of the Fouta are hand knotted. 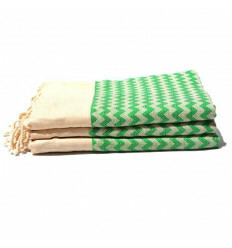 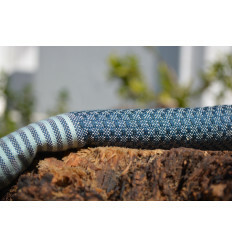 The hydrophilic properties of this towel will help you to use as a sauna towel, like a beach towel and as a towel. 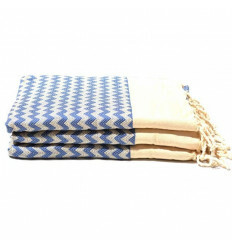 Fouta towel woven in the traditional way to use bath towel, hand towel, beach towel, sarong, tablecloth, bedspread ... All segments of the Fouta towel is hand knotted. 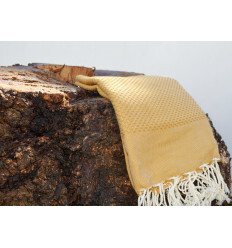 The absorption qualities of the hammam towels "steam towel" that make this fabric absorbs well, dries quickly exceed that of fouta flat-woven. 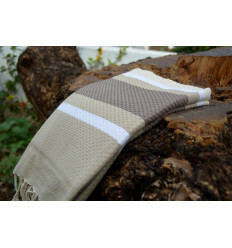 Fouta woven in the traditional way to use bath towel, hand towel, sarong, tablecloth, bedspread ... All segments of the Fouta are hand knotted. 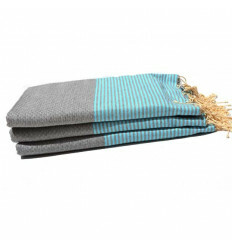 Fouta towels woven in the traditional way to use bath towel, hand towel, sarong, tablecloth, bedspread ... All segments of the Fouta are hand knotted.